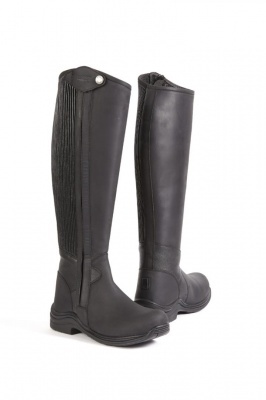 The Toggi Quest Riding Boots are full length, oily nubuck and cow milled leather riding boots suitable for riding, walking and yard wear. They feature an elasticised quarter panel with a full length YKK zip, dual density sole unit that comprises a durable Thermo rubber abrasion resistant outsole for secure grip and a shock absorbing PU midsole. All these fantastic features provide you with many hours of unsurpassed comfort, support and performance.